Bungie promised to pack a lot into the Forsaken slow burn and the studio has come through big time. The story is the best that Destiny 2 players have experienced. The new Gambit play mode provides an exciting new challenge. Cayde’s death has many people emotionally invested in ways they’ve never felt before. This week, as promised, Destiny 2 has its longest and most demanding raid ever. The goal with the Forsaken raid was to do something the studio has never done in the past. Bungie already revealed that events in the raid would change the world outside of it. This appears to be the case. A new story quest is available from Petra Venj following the completion of the raid by the World’s First team by Team Redeem. Completing the raid was no small feat. The clan’s strike team, known for being the first to complete multiple Destiny raids, spent a grueling 19 hours to finish the task. The raid includes multiple bosses and a puzzle to unlock a vault, along with wave after wave of alien enemies. Victory brings great rewards and the world’s first team will receive unique emblems, the One Thousand Voices exotic, and the first ever WWE-style title belt. If you have your eyes on completing the Last Wish, don’t despair. The prizes are still plentiful. Bungie has confirmed that the third Seed of Light (for the new subclasses) is a guaranteed drop when defeating the raid’s first boss. (No word yet if there are other ways to earn the seed.) Players who defeat the raid’s final boss by Tuesday, September 18th will qualify for a sweet bomber jacket. Go get ’em, Goose! In addition to last week’s announcement surrounding Bungie Rewards, the game designers are again tying together in-game events and real world prizes. This week brings Bungie Bounties. Players will have a chance to compete in game with a notable member of the community or a Bungie employee to earn rewards. Defeating the bounty will earn the Sign of Mutual Combat emblem. The first week’s schedule is up with notable names like streamers Dr. Lupo and WELOVEGAMES and DJ Steve Aoki. September 18th brings a new week of the Iron Banner. This mode is Control and there are now advantages to the players’ power level. Power is a determining factor in PvP. Welcome to the arms race. Lord Saladin is also getting in on the fun of offering bounties. He will have 7 available for the week, with 2 of them linked to powerful rewards. The Iron Banner weapons and armor can be earned by completing the associated requirements or through direct purchase from the original Iron Lord himself. Xur is hanging out on Earth this week in the EDZ. He’s in the Winding Cove next to a fallen Ketch. His wares for sale include the Sunshot hand cannon, Eye of Another World Hunter Helmet, Graviton Forfeit Titan Helmet and the Wormgod Caress Warlock Gauntlets. PS: If you haven’t read This Week at Bungie, check out the post. There is some absolutely stunning concept art included that really shows the incredible time and effort so many folks put into this game. 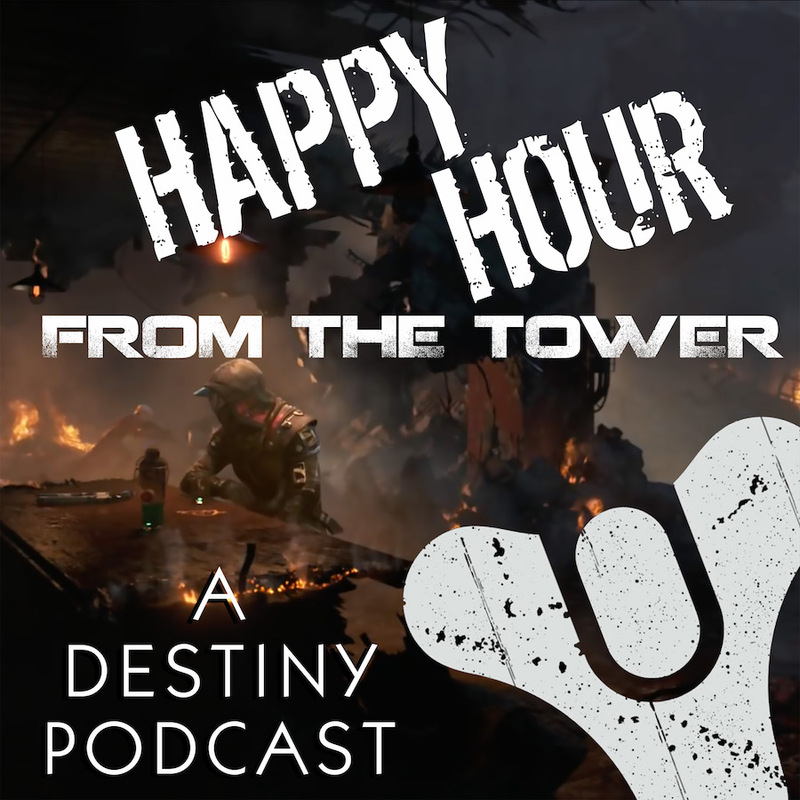 Previous Post Episode #41: Welcome to Forsaken! Next Post TWAB: Take That, Sleeper Simulant!